Create stand-off for any explosive device - this this can also be achieved using a combination of a fence with rated HVM measures. Provide protection from small arms and blast fragmentation, if designed appropriately. 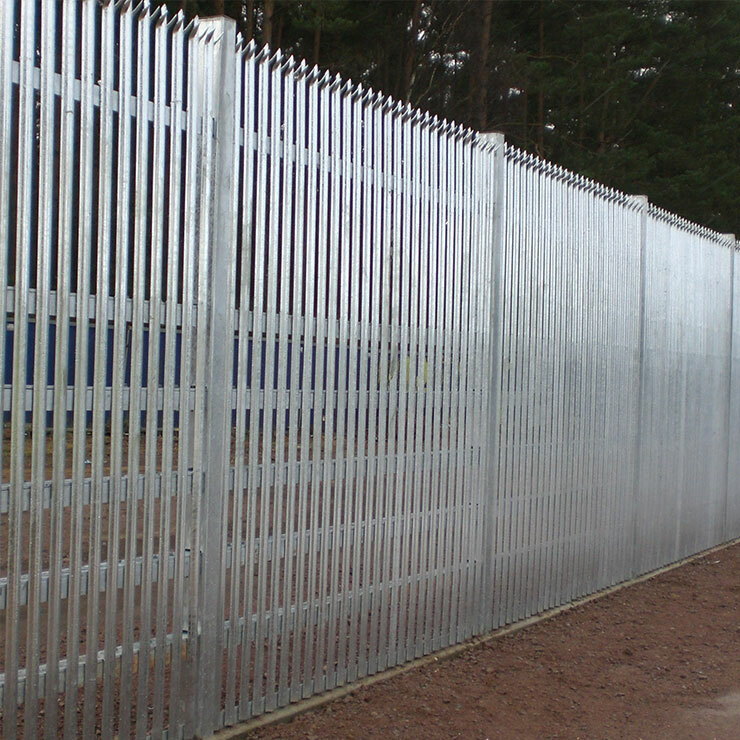 Fences and walls provide only limited delay against a determined or skilled attacker, but can also be vulnerable to attackers, with only limited skills and equipment, if they are not correctly designed and installed. Where scaling of the perimeter is identified as a threat then ‘toppings’ can be utilised. These are designed to increase the difficulty of climbing a fence by snagging/entangling the intruder and providing additional deterrence when using Barbed Tape Coil (BTC). A topping should not aid an intruder by providing a firm hand or foothold and must always be specified and installed in accordance with the relevant legal and safety standards. It is recommended that the perimeter barrier is combined with additional security measures such as security lighting, electronic surveillance e.g. CCTV and PIDS, electric/power fencing (which provides a deterrent and acts as a detection system) and regular patrols by the guard force. When developing the design of each of these measures, no one element should be treated in isolation and they should be treated as an integrated scheme that is designed to deliver a particular effect. Unfortunately, it is all too common for individual security elements to be considered in isolation, often leading to reduced effectiveness and overly costly schemes. Designers should always seek to minimise the number of gates through the perimeter, especially for locations away from main access points or other locations where there is not a permanent guard force presence or oversight. Every gate required in a perimeter requires special consideration, due to the legal requirements for emergency egress and access to/from the site, the size and type of gates needed, layout and purpose (pedestrian, vehicle) etc. Where the fence is fitted with PID systems, each gate should have appropriate sensors to ensure that the guard force will receive an alert if the gate is opened unexpectedly or tampered with. Along with other physical security measures, it is important to ensure that gate installations are regularly reviewed to ensure that they remain fit for purpose, and that they meet the specified operational requirements, when in the site secure, ‘closed’, position.